Free Shipping Included! 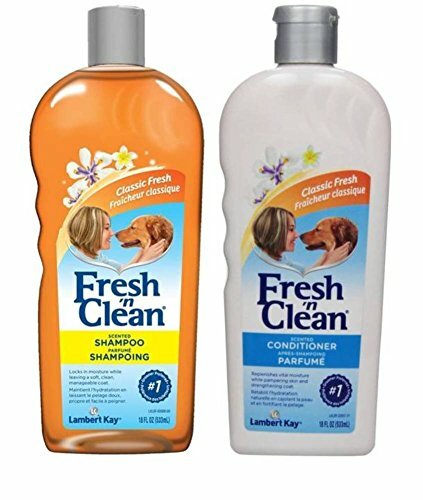 Fresh 'N Clean Classic Shampoo & Conditioner Bundle: (1) Fresh 'N Clean Classic Fresh Scented Shampoo, and (1) Fresh 'N Clean Classic Fresh Scented Conditioner, 18 Ounces. Each by Fresh N Clean at Annie's Dog Spa. MPN: unknown. Hurry! Limited time offer. Offer valid only while supplies last. Direction for use - Shampoo the pet and rinse thoroughly. Dilute one part conditioner with seven parts water. Pour solution over coat. Direction for use - Shampoo the pet and rinse thoroughly. Dilute one part conditioner with seven parts water. Pour solution over coat. Rinse.